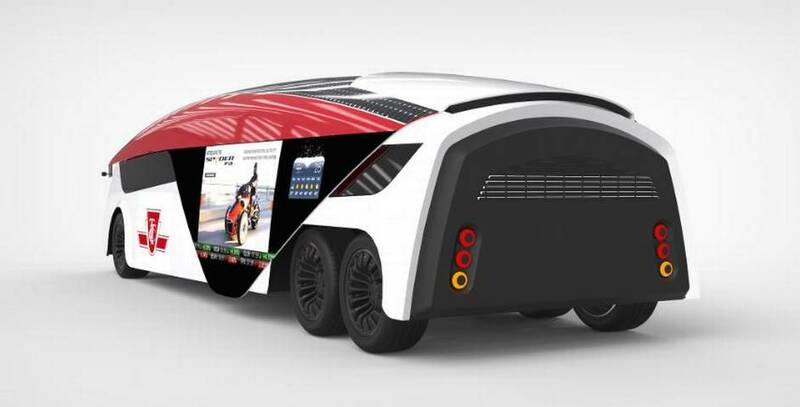 The Xoupir (the X is pronounced like an S) is a futuristic four-wheel drive city bus powered by wireless electricity and designed with today's users in mind. It features smartglass tinted windows, free WiMAX ultra-high speed internet access, and you don't need to buy a ticket or a pass to get onboard. The Xoupir was created to showcase what our city buses could look like and offer in the near future if we combine various existing technologies. The styling for the Xoupir was inspired by the Mercedes CLS class. I teamed up with Abhishek Roy's Lunatic Koncepts Design firm to work on this mass transit idea. The Xoupir would also serve as an ultra-high speed mobile WiMAX station. It would operate similar to WiFi, but at higher speeds (Up to 75 Mb/s), over greater distances (up to a few kilometres), and for a greater number of users. This means that commuters would have access to the Internet everywhere the bus goes. OLED screens located inside and outside the Xoupir would feature ads that change based on the preferences of users who are looking at them. This could be accomplished by using eye tracking technology like the ones created by Mirametrix. Cameras would differentiate who is looking at each ad and display more interesting content for each viewer. 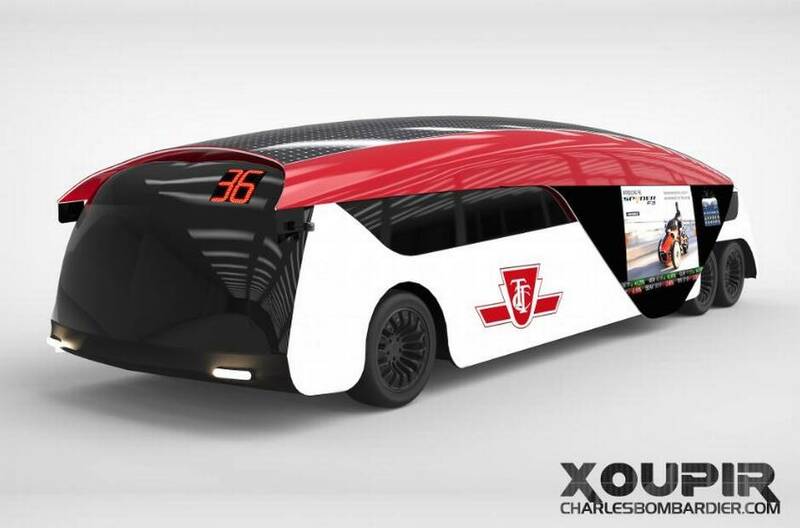 The Xoupir is a series of ideas that could be implemented in today’s buses or in a city’s mass transit network. I really like the idea of silent and non-polluting electric buses that can be powered and recharged wirelessly. I also like the idea of being able to hop on any bus in the world without having to carry a wallet. I would like to thank Abhishek Roy who created the incredible 3D renderings of the Xoupir. Roy is the owner of Lunatic Koncepts, a design firm based in India. His team also created the renderings for the Vigilente crime fighting trike and the Yeti arctic transport hovercraft.